Grovia hybrid diapers are popular because they offer flexibility to switch back and forth between reusable and disposable inserts. Give them a try with the NEW trial pack for just $20! What are Hybrid Cloth Diapers? The best of both worlds! With hybrid diapers, you don't have to choose only reusable cloth diapers or disposables. Hybrid diapers include a washable cloth diaper cover and the option to use either washable cloth inserts or biodegradable disposable inserts. Why Should You Consider Hybrids? With close to 50,000 fans on Facebook (last I checked), GroVia is one of the most popular cloth diaper brands. 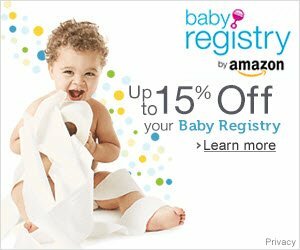 One of their most popular products is their hybrid diaper system. It's an easy and reliable system with high quality diaper covers, and two choices of inserts (reusable and cloth). 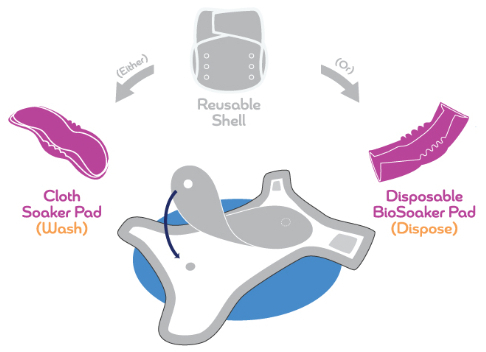 The picture below (from their website) shows how the GroVia hybrid diaper system works. The entire trial kit costs just $20 including shipping! 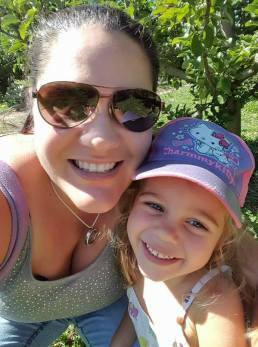 The contents of the trial kit are more than $26 purchased separately, so this is an affordable way to try cloth diapers! This offer is available to US customers. 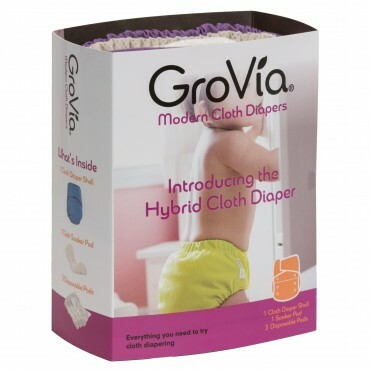 Visit GroVia's website to find out more about their hybrid diapers, read reviews, and purchase this kit!